Lauren Scott lives in 'The most romantic place in Britain', but her love life is about as successful as her mountain climbing skills. The man she's obsessed over for two years has proposed to someone else - and her only solution is to save up for six months to go travelling, so she never has to set eyes on him again. Review: Such a compelling read, right from the word go. 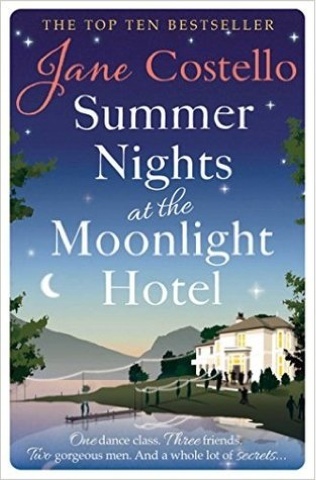 The book was particularly exciting for me because it is set in the lake district and a lot of it takes place in Ambleside, a town I have been visiting since before I was born! The descriptions of the countryside, the atmosphere and the general feel of the lake district were all spot on and i was really able to picture where the characters were at each and every point. The language Jane Costello uses is lovely, including some seriously imaginative similes, and she has obviously researched this are well (i'm sure she had fun doing so too!). I really warmed to the characters straight away too, particularly Lauren. She is a primary school teacher and so I suppose this helps me have something in common with her, but she also has aspirations and dreams whilst at the same time having some fairly conservative views on how things should be done. I love her passion, he sense of right and wrong and the way she looks out for her friends. Her friends are fabulous characters in themselves. Emily and Cate were also very likable and Joe and Will play excellent men to ogle and drool over throughout the book! Lauren's family and the dance 'crew' also play some lovely roles in this novel-lots of comedy moments there! The story line itself is full of more twists and turns than the waltzers! Lauren and her friends are really put through the ringer in this novel, just when you think nothing else can happen, it does! And some of the things that occur are seriously out of this world! I was entertained through the entirety of this novel, laughing out loud on an aeroplane and gasping to myself in my back garden. This books has it all, friendship, drama, romance and teachers! Pus it's all set in the beautiful backdrop of the wonderful lake district! I love Jane Costello but even if you haven't read anything by this fabulously funny author before, you're sure to enjoy this one!